So you have recently travelled somewhere exotic and have lots of adventures to share, or have done some activity that can be interesting to a particular community, or you simply want to remember a specific event with friends and family. In this case, a photo-book is ideal for you! 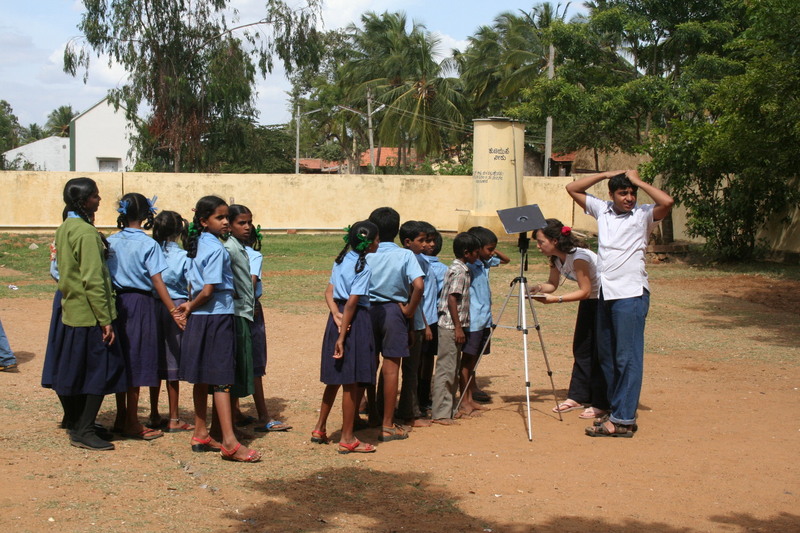 Almost two years ago GalileoMobile journeyed across the rural areas between Bangalore and Mysore, India. We spent all of our time in schools, working with primary and secondary students on topics about astronomy. Those who travelled had tons of stories and anecdotes and we did not want to forget them. We wanted these stories to feed and motivate as many people as possible! To make a photo-book is easy, fun, and beautiful. Take a look at our recipe! The approximate preparation time is months, but serves an infinite number of people! Choose your audience. Who will read your photo-book? Children, teenagers, young adults, adults? Or a mixture of these? In our case we chose a mixture of young adults and adults since we want people more or less our age to feel identified with the stories and to motivate them to pursue similar activities. Decide how you want to tell the story. For example, will you narrate it in first or third person? In chronological order or some other order (e.g. if you travel to different locations it could be based on location)? Will you have all the text at the beginning followed by all the photos, or will you alternate between them? What is more interesting for your audience (children and adults are interested in different aspects of one same story)? We chose to tell the story from the point of view of the travellers since our goal is to inspire others to do similar things. Our experiences will give you an idea of what it is like to work in rural schools! We structured our photo-book following a typical day instead of chronologically (i.e. starting in day 1 and ending in day 15). All of our days followed the same schedule and therefore listing the events in order during 15 days would have been too long, repetitive and boring! The action happened during the day, so we condensed all of the experiences lived in each school in one typical day. We also wanted to have short stories told by different people to have different perspectives and for that reason we alternated text with photos. Tip: If your story is long, split it into chapters and decide the content of each chapter. Write! Write your stories! Tell the people who travelled what type of stories you are looking for (e.g. funny, dramatic, inspiring) and ask them to write something as well. Select photos. Easy to say but difficult to do! Especially if you have hundreds of photos. We had hundreds and this is the step that took us the longest (together with step 5). We selected photos that fit with the topic covered by each chapter and the stories written by the travellers. Edit texts. When you get the stories back from your friends or colleagues read them and figure out how they fit with the structure of your photo-book. You will probably have to edit the texts slightly. For example, if they are too long you may need to shorten them or split them into two texts. Before publishing anything always check if the changes you did are O.K. with the authors! Mock up! Make a rough sketch of the layout of your photo-book and discuss your idea with the graphic designer. Before sending our texts and photos to Kristine (our friendly graphic designer), we made a mock-up: a preliminary version of the photo-book done with Keynote or PowerPoint. This way it was easier for us to explain what type of layout we were looking for. Discuss designs. The graphic designer will interact with you several times until you get a final product that you are all happy with. Kristine first prepared a mood board to chose colours, font style and the general feel of our book. Based on these she designed several backgrounds and layouts of the pages that we all discussed and picked together. Review your texts! Proof read the texts (several times, by several people is better) to make sure they are perfect. This is not the designer’s task, so you need to provide her/him the final thing. Final design. Once the texts and the layout are ready and final the designer will put everything together. We chose a pdf version with a screen size to upload our photo-book online and share it with everyone! We printed a limited number of copies to keep as a memory, to gift it to our sponsors, and for you to help us reach more students and teachers around the world! 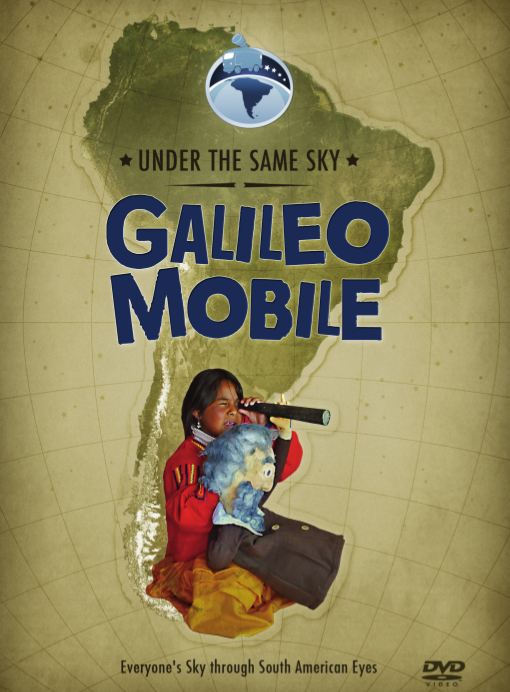 Get in touch with us (contact@galileo-mobile.org) if you would like to contribute and get a copy. This entry was posted in Khagol Rath, Products on 25 January 2015 by GalileoMobile. When a day was sunny we included a solar observation activity. We projected the image of the Sun on a piece of white paper, using the telescope. On a day when no sunspots are seen, the projected image just looks like a circle of light. During our two weeks in India, however, a huge group of sunspots developed on the Sun. On the circle of light we could see the group of sunspots as dark blobs. We even managed to see the details of the sunspots’ structure! Although I am a solar physicist, I had never done solar projection before since I usually work with satellite images … sad to say because, oh I will remember this day. I never thought it would be so exciting! No need of special equipment or instruments. Just a simple telescope and a piece of white paper and there it was! This activity also had an impact on the children, who were learning about sunspots for the first time and did not expect to see anything on the projected image of the Sun. I was showered with questions during the activity and was delighted to see their interest. 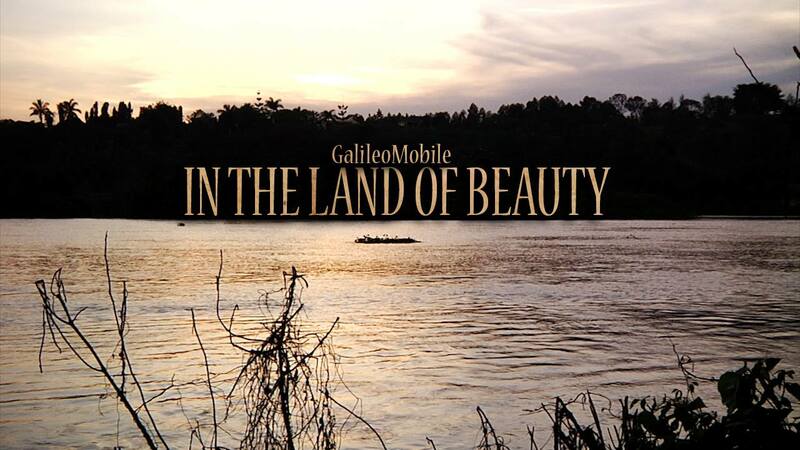 This entry was posted in Khagol Rath, Products on 11 April 2014 by GalileoMobile. 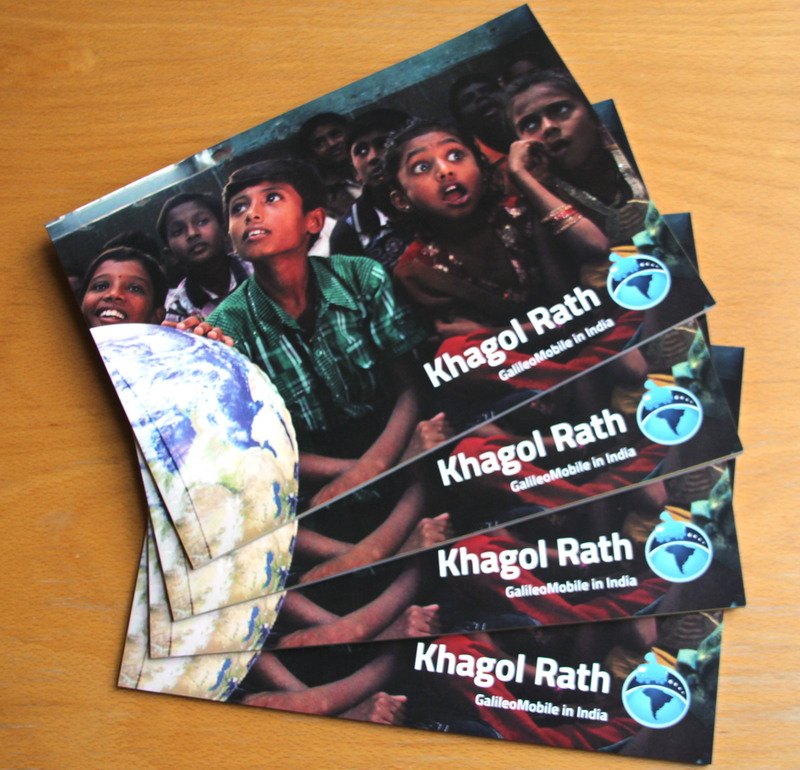 It has been a week since we released the electronic version of our photo-book, “Khagol Rath: GalileoMobile in India”. You can download it here. But if you are more traditional and like the felling of flipping pages, even if they are digital, as well as you are a person that likes to appreciate the original design of our book by Kristine Omandap, take a look at the flip book version here. This entry was posted in Khagol Rath, Products on 17 February 2014 by GalileoMobile.